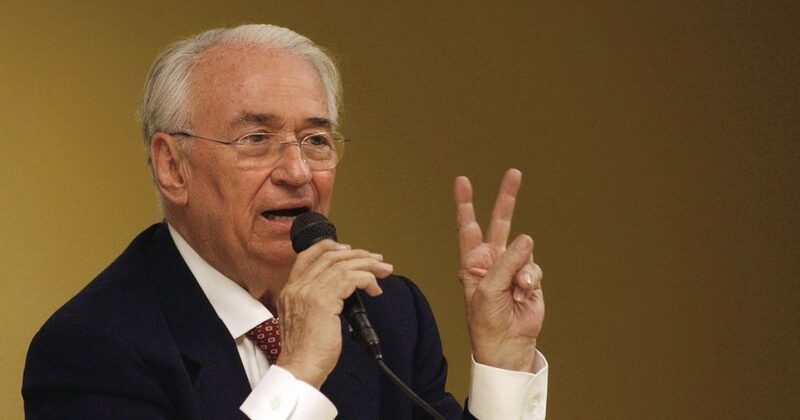 BOGOTA, Colombia (AP) — Authorities in Colombia say former President Belisario Betancur, whose bold efforts to reach a peace deal with leftist rebels in the 1980s were undone by drug-fueled bloodletting and an explosion of violence backed by state security forces, has died at age 95. Betancur’s death was confirmed by President Ivan Duque, who tweeted that Betancur’s legacy in Colombian politics and history would be “an example for future generations.” The ex-president, who governed from 1982-1986, died in a Bogota clinic. Uniquely in Colombia’s elite-dominated political landscape, Betancur wasn’t the son of patriarchs but instead rose to the pinnacle of power from a spartan start as the son of a poor farmer in Antioquia state. With with the aid of scholarships he earned a law degree and became a journalist, economist and poet.